The Labour Law Research Network was set up in 2011 by research institutes/centers from all over the world dedicated to the study of labour law. Our goal is to advance research in labour law and specifically to facilitate the dissemination of research work and encourage open discussion of scholarship and ideas in this field. All labour law scholars are welcome to join. The LLRN holds a Biennial Conference to facilitate presentation of academic scholarship in labour law along with discussion and debate over topical issues in the field. 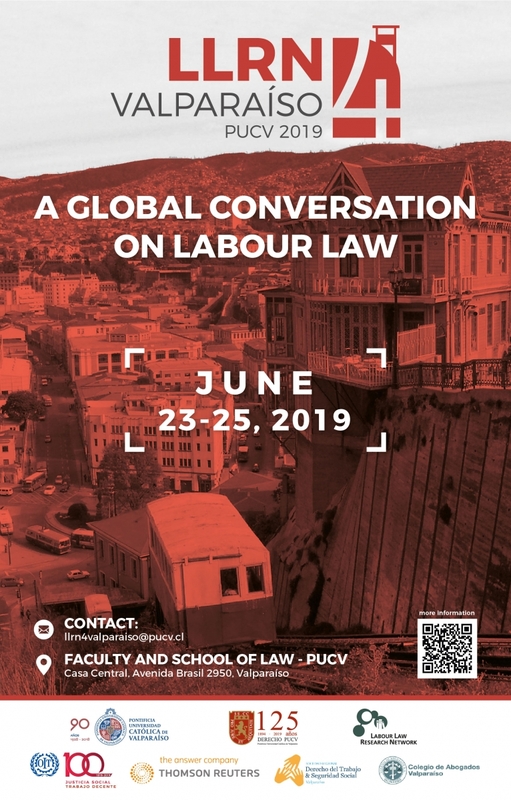 In addition to our conference, the LLRN provides information about labour law-related activities to affiliated research centres and the public through this website, our Twitter account (@LabourLawRN) and a periodical Update that we send to our Mailing List. During the 2015 LLRN Conference in Amsterdam, some labour law academics established a Facebook Group called Labour Law Research Network which continues to be active. You can request access to the Facebook Group from the administrators by clicking here. The 4th LLRN Conference will be held at the Faculty of Law of the Pontificia Universidad Católica de Valparaíso on June 23-25, 2019. The Call for Papers for the conference has been released and the deadline for submitting abstracts and panel proposals is 15 october 2018. For more information see also the Conference website. The 3rd LLRN Conference was held at the Faculty of Law of the University of Toronto on 25-27 June 2017. See Conference program and Click here to access the Conference website. The 2nd LLRN was held on June 25-27, 2015 in Amsterdam, organised by the Hugo Sinzheimer Institute. See Conference website and Conference Programme. The inaugural LLRN conference was held in Barcelona, Pompeu Fabra University, on June 13-15, 2013. See the website for details and here for the programme.